How great is the new BMW 4 Series Coupe? My notes showed no, nadda, zero negatives. I list price by default, because at $50 grand, more than a few of us won’t be able to afford it, and that’s a shame. Because this may be the best all-round performing car I’ve ever driven, no matter the price. The 4 Series (formerly the 3 Series, but that’s now reserved only for sedans), is a perfect blend of power, handling, ride, comfort and looks. Call it a home run, a royal flush, a perfect 10, or whatever you will. What surprised me was the ride. I’ve often enjoyed driving BMWs, but rarely have I felt comfortable in them or enjoyed the ride. The 4 Series changes all that. 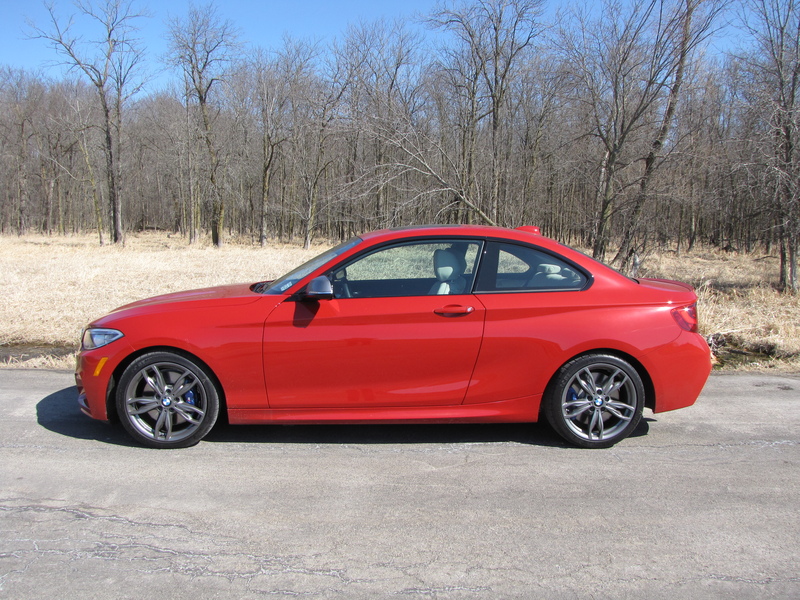 Its well-controlled ride is a combination of a superbly designed suspension mated with BMW’s Driving Dynamics Control system that adjusts the chassis and modulates the engine’s power curve too. So if you set the DDC on Eco, you get lowered power and a somewhat more pedestrian chassis feel. Move to Comfort and you’ve dialed in ride perfection for our pathetic highways and city streets. One road near my Northwest side church is full of potholes and pavement gaps, creases and crumbling pavement. It regularly puts my test cars’ suspensions to the ultimate test. I barely noticed the craters this week. I was amazed.